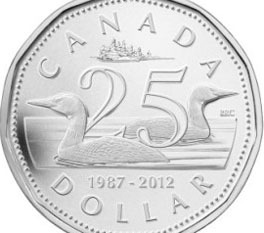 What I would endorse (or second or whatever the proper term is) as a new head for a new post 25th anniversary loonie is an image of the great Canadian explorer, fur trader, and map maker, David Thompson (1770–1857) and his wife Charlotte Small. And in case you are wondering just what this image might look like, there is already an evocative statue of the pair in Invermere, BC. 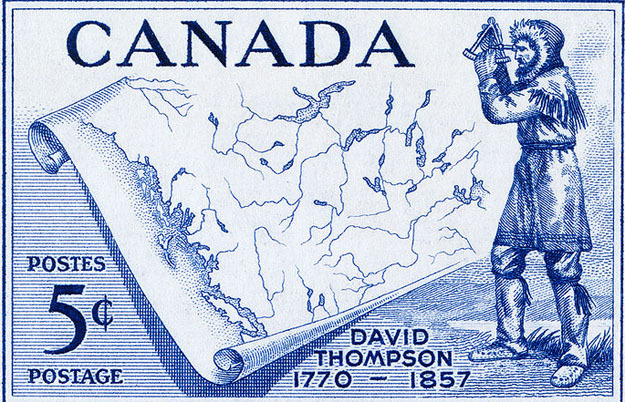 Postage stamp commemorating David Thompson (1770-1857), issued 5 June 1957 by Canada Post, five days before the 1957 Canadian federal election that first brought the Progressive Conservatives led by John Diefenbaker from Saskatchewan to power in Ottawa. Wedding of David Thompson and Charlotte Small, at Isle a la Crosse in present-day Saskatchewan, June 10, 1799. 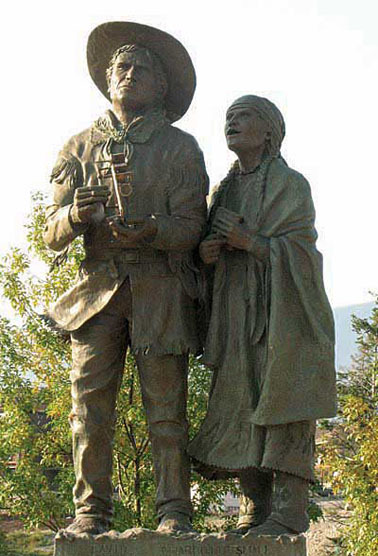 Thompson’s second great act of modern Canadianism, as it were (and quoting the estimable M. Marcel once again), was that, early on in his explorations, “he ‘took a country wife of aboriginal descent, a common practice among fur traders, but defied convention and settled with her and their children in a pioneer society where bigotry and prejudice were prevalent’ … As the film maker Tom Radford has somewhat more exotically put the matter: ‘In the course of his journeys, Thompson married a Métis woman, Charlotte Small, The Woman of the Paddle Song. Travelling by birch bark canoe, teaching each other the peculiarities of a different culture, they were among the first explorers of what it means to be Canadian’” in the 21st century. David & Charlotte Thompson's gravesite at Mount Royal Cemetery Montreal, Quebec, © Parks Canada. 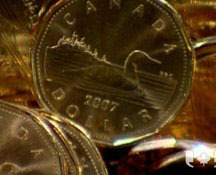 A Canada which especially sides with the one of the two northern North American birds on the 2012 commemorative silver loonie that “heads toward the future” could do itself a world of good by putting David and Charlotte Thompson on the head of a new loonie $1 coin for the 21st century! No doubt it will not actually happen in 2012, but … there are still many other years of the 21st century that lie ahead. I will be visiting Montreal on Feb. 25—28th. Is it possible to visit David Thompson and Charlotte Small’s gravesight? Hello Patrick Collins : David Thompson and Charlotte Small are buried in Mount Royal Cemetery, 1297, chemin de la Foret, in the Outremont neighbourhood of Montreal, in Section C5, Grave 507. 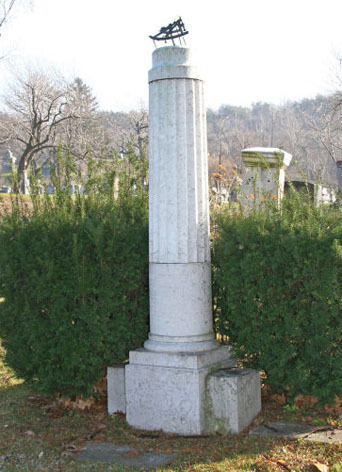 The postal code of the Cemetery is H2V 2P9, and the Phone: 514-279-7358. The Cemetery website notes that “a printed guide is available for a self guided walking tour of the historic persons buried in Mount Royal Cemetery.” Presumably the guide can be obtained at the Main Gates. During the winter the Main Gates are open Monday – Friday 8:00 am – 5:00 pm, and Saturday – Sunday 9:00 am – 5:00 pm. Prospective visitors would probably be well advised to contact Mount Royal Cemetery directly for any further information. They can also check out the cemetery website at http://mountroyalcem.com/. Good luck and best wishes. I just found out that I am a descendant of David Thompson. I did not know that this man was such a figure for Canada. I am even more proud to be Canadian.